Every Gospel begins with the invitation 'Come? ', and ends with the command 'Go!' (Mk 3:13,14;16:16). Jesus first bids Peter, 'Come, Follow me' and then commands him, 'Go, Feed my sheep' (Jn 21:19,17). He first leads the three apostles up to the mountain top to pray with him and then brings them down to the plains to pray for the oppressed (Lk 9:28,37). He first calls on them to be evangelized and then sends them out to evangelize the nations (Mt 4:19,28:19). He first summons them to wait in the upper room to pray, behind closed doors, for the promise of the Father, and then sends them forth with the power of the Holy Spirit to be his witnesses to the ends of the earth (Acts 1:4,5,8). Vatican Council II: It is precisely in line with the teaching and practice of Jesus that the Church of today first prayed for a New Pentecost, when Pope John XXIII announced the Second Vatican Council on 25th January 1959 in Rome: "O Holy Spirit … Renew Thy wonders in this our day as by a New Pentecost;" and then called for a New Evangelization, when Pope John Paul II addressed the Episcopal Conferences of Latin America on 9th March 1983 in Haiti: "Look to the future with commitment to a New Evangelization, one that is new in its ardor, new in its methods, and new in its expression". A year later, on 30th April 1984, the Pope also threw this New Challenge to the participants of the Fifth International Charismatic Leaders' Conference, in Rome: "I ask you, and all the members of the Charismatic Renewal, to continue to cry aloud to the world with me, 'Open the doors to the Redeemer' … for the Church's mission is to proclaim Christ to the world." Redemptoris Missio: Finally on 7th December 1990, the Pope exhorted the entire Church, in his encyclical, 'The Mission of the Redeemer', to "renew her missionary commitment" (RM 2), and to "commit all of her energies to a New Evangelization" (RM 3). For, he declared, we are "on the threshold of a new missionary age" (RM2) and we should therefore look forward with glorious expectation to the New Millennium becoming "a great springtime for Christianity" (RM 86). In response to the Pope's exhortation, the Charismatic Renewal has indeed moved with the Church from the New Pentecost prayed for by Pope John XXIII, through the New Ecclesial Movement welcomed by Pope Paul VI, to the New Evangelization called for by Pope John Paul II, - for it is this New Pentecost that has ushered in and will bring about this New Evangelization, just as there cannot be a New Evangelization without a New Pentecost. The First Pentecost: Before his ascension into heaven, our Lord had entrusted to his disciples the mission of themselves making disciples of all the nations (Mt 28:19). But first they would have to await the coming of the Holy Spirit, in order to receive the power to proclaim God's Word with all boldness, to perform the same works as Jesus did and even greater ones, and to be his witnesses even to the ends of the earth (Acts 4:29; Jn 14:12; Acts 1:8). Having already received his Word that was burning in their hearts like fire (Lk 24:32), and now being filled with his Spirit that was ablaze in them again like fire, the disciples went forth to proclaim the Gospel, facing persecution and martyrdom with joy. The Pentecostal fire, that Our Lord had said he had come to bring on the earth, was now blazing in them and would in turn kindle the whole world (Lk 12:49; 3:16). A New Pentecost: Today we too need to make our prayer the hymn, 'Holy Spirit, come down with your fire! Let your fire fall, to first purify our hearts and then set our hearts on fire to evangelize'. It was the Pope himself who, at the beginning of the new millennium, exhorted the whole Church to rekindle the fire of the first Pentecost and be filled with the ardor of the first apostolic preaching which followed that Pentecost, making our own the burning passion of Paul who cried out: "Woe to me if I do not preach the Gospel!" (1Cor 9:16; NMI n. 40). We need to remind ourselves, as St. Paul reminded Timothy, to fan into flame the gift of God, for God did not give us a spirit of timidity, but the Spirit of power, of love and of discipline, and so like Timothy we should not be ashamed to testify about our Lord and to speak for Him" (2Tim 1:6-8). New Situation: Such a new ardor is needed in the Church today in order to deal with today's unprecedented world situation of secularization and religious indifference, moral and religious relativism, consumerism and sexuality immorality, terrorism and violence, and unethical power and scientific progress. These in their turn necessitate a new evangelizing attitude and action of the Church, more intensified and courageous efforts on the part of all evangelizers to find new and more effective ways of proclaiming the gospel, which are more consonant with today's culture and more respondent to the spiritual demands of contemporary man. In the new evangelization, marriage and the family, women and the youth must be subject to intense pastoral attention through adult catechesis and spiritual and emotional counseling. New Approaches: For this purpose the Church must find new ways to integrate social communications and mass media, as the TV and the Internet, into her evangelistic and pastoral planning and activity, in order to safeguard human rights and promote truth and justice in public life, to reach out in solidarity to the weaker sectors of society, to address the social evils of alcoholism, drug addiction and sexual child abuse, and to infuse cultures with the values of the Kingdom. But more than social communications, we need the communications and workings of the Holy Spirit, called charisms, which are a manifestation of his comforting presence and a demonstration of his life changing power and, as the Dogmatic Constitution on the Church states, "are useful for the renewal and expansion of the Church," by giving guidance and effectiveness to the double ministry of preaching and of healing in live-in retreats and in outreach missions. New Movements: The most important and prominent expression or sign of the new evangelization is a rich flowering of renewal movements and ecclesial communities, which the Pope has constantly looked upon as "a special Gift of the Spirit to our age and a reason for hope for the Church and for mankind" (Address at Pentecost 1996). At the unforgettable meeting of the ecclesial movements with the Holy Father on May 30, 1998, the Pope acknowledged them to be "the Holy Spirit response to this critical challenge of Evangelization at the end of the millennium" (n. 7), giving to the life of the Church energies of spiritual renewal of extraordinary intensity and potentials for effective evangelizing activity. The Parish needs the power and fellowship of these renewal movements within a micro-structure of smaller ecclesial communities, called Basic Christian Communities, where Christians are born and grow in maturity, living their vocation and mission in depth. Lay Witnesses: The new evangelization will also depend very much on the lay faithful being fully aware of their baptismal vocation and of their responsibility for the Gospel of Jesus Christ. Today it is often the laity who must be in the forefront in seeking to apply the Church's teaching to the ethical, moral and social questions, which arise in their communities or at the national level. The specific mission of laymen and women is the evangelization of the family, of culture, and of social and political life. The prime movers of this new springtime are becoming the young people to whom the Pope never tires of telling: "You are the hope of the Church, you are my hope!" The task then of the Church today, and of its pastors, is to ensure that laity are formed as evangelisers, able to face the challenges of the contemporary world not just with worldly wisdom and efficiency but with hearts renewed and strengthened by the truth of Christ. For contemporary man listens more willingly to witnesses than to teachers, or if he listens to teachers, he does so because they are witnesses. Cada Evangelho começa com o convite "Vem? ", E termina com o comando 'Vá!' (Mc 3, 13,14, 16, 16). Jesus primeiros lances de Peter, "Vinde a mim" e, em seguida, ordena-lhe: Vai, Apascenta as minhas ovelhas "(Jo 21, 19,17). Ele primeiro leva os três apóstolos até o topo da montanha para rezar com ele e, em seguida, leva-los para as planícies de rezar para os oprimidos (Lc 9, 28,37). Ele chama primeiro deles a ser evangelizado e os envia para evangelizar as nações (Mt 4: 19,28, 19). Ele primeiro convoca-os a esperar na sala superior a orar, a portas fechadas, pois a promessa do Pai, e em seguida, envia-os para fora com a força do Espírito Santo para ser suas testemunhas até os confins da terra (Atos 1: 4,5,8). Concílio Vaticano II: É exatamente em linha com o ensino ea prática de Jesus que a Igreja de hoje primeiro orou por um novo Pentecostes, quando o Papa João XXIII anunciou o Concílio Vaticano II, em 25 de janeiro de 1959, em Roma: "O Espírito Santo ... Renovar tuas maravilhas no nosso dia, como num novo Pentecostes "; e então chamado para uma Nova Evangelização, quando o Papa João Paulo II dirigiu as Conferências Episcopais da América Latina em 09 de março de 1983 no Haiti: "Olhe para o futuro com o compromisso de uma nova evangelização, que é nova em seu ardor, nova em seu métodos e novas na sua expressão ". Um ano depois, no dia 30 de abril de 1984, o Papa também lançou este novo desafio aos participantes da Conferência de Líderes carismáticos Fifth International, em Roma: "Peço a vocês, e todos os membros da Renovação Carismática, para continuar a chorar em voz alta para o mundo comigo, 'Abra as portas ao Redentor "... para a missão da Igreja é proclamar Cristo para o mundo." 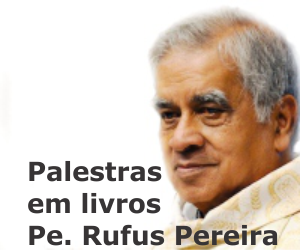 Redemptoris Missio: Finalmente no dia 7 de dezembro de 1990, o Papa exortou toda a Igreja, em sua encíclica, "A Missão do Redentor", "renovar seu compromisso missionário" (RM 2), e "comprometer todas as suas energias para a nova Evangelização "(RM 3). Pois, ele declarou, estamos "no limiar de uma nova era missionária" (RM2) e devemos, portanto, olhar para a frente com gloriosa expectativa para o Novo Milênio "se tornar uma grande primavera cristã" (RM 86). Em resposta à exortação do Papa, a Renovação Carismática, de fato, mudou-se com a Igreja do Novo Pentecostes rezava pelo Papa João XXIII, através do New eclesial Movimento recebido pelo Papa Paulo VI, para a Nova Evangelização solicitado pelo Papa João Paulo II, - pois é este novo Pentecostes que inaugurou e trará esta nova evangelização, assim como não pode haver uma Nova Evangelização sem um novo Pentecostes. O primeiro Pentecostes: Antes de sua ascensão ao céu, o Senhor confiou aos seus discípulos a missão de se fazer discípulos de todas as nações (Mt 28,19). Mas primeiro eles teriam que esperar a vinda do Espírito Santo, a fim de receber o poder para proclamar a Palavra de Deus com toda a ousadia, para executar as mesmas obras que Jesus fez e outras maiores ainda, e ser suas testemunhas até os confins da terra (Atos 04:29; Jo 14:12, Atos 1, 8). Tendo já receberam a sua palavra de que estava queimando em seus corações como o fogo (Lc 24:32), e agora está sendo cheios do seu Espírito que estava em chamas neles novamente como o fogo, os discípulos saíram para proclamar o Evangelho, enfrentando perseguição e martírio com alegria. O fogo pentecostal, que Nosso Senhor tinha dito que ele tinha vindo para trazer sobre a terra, agora estava em chamas neles e, por sua vez acender todo o mundo (Lc 0:49, 3:16). Um novo Pentecostes: Hoje nós também precisamos fazer a nossa oração, o hino, "Espírito Santo, venha para baixo com o seu fogo! Deixe sua queda fogo, a primeira purificar nossos corações e em seguida, definir o nosso coração em chamas para evangelizar ". Foi o próprio Papa que, no início do novo milênio, exortou toda a Igreja para reacender o fogo do primeiro Pentecostes e ser preenchido com o ardor da primeira pregação apostólica que se seguiu que o Pentecostes, fazendo nossa a paixão ardente de Paulo, que exclamou: "Ai de mim se eu não anunciar o Evangelho!" (1Cor 9:16; NMI n 40.). Nós precisamos nos lembrar, como São Paulo lembrou Timóteo, para manter viva a chama do dom de Deus, pois Deus não nos deu um espírito de timidez, mas o Espírito de poder, de amor e de disciplina, e assim como nós Timothy não deve ter vergonha de testemunhar do Senhor e para falar por Ele "(2 Tm 1, 6-8). Nova Situação: Este novo ardor é necessária na Igreja de hoje, a fim de lidar com a situação mundial sem precedentes de hoje da secularização e indiferença religiosa, o relativismo moral e religioso, o consumismo e da sexualidade imoralidade, violência e terrorismo, e poder antiético e do progresso científico. Estes, por sua vez, exigem uma nova atitude evangelizadora e ação dos esforços da Igreja, mais intensa e corajosas por parte de todos os evangelizadores para encontrar maneiras novas e mais eficazes de proclamar o evangelho, que estão mais de acordo com a cultura de hoje e mais demandado para o exigências espirituais do homem contemporâneo. Na nova evangelização, o matrimônio ea família, as mulheres e os jovens devem ser objecto de intensa atenção pastoral através da catequese de adultos e aconselhamento espiritual e emocional. Novas Abordagens: Para este efeito, a Igreja deve encontrar novas formas de integrar as comunicações sociais e meios de comunicação de massa, como a TV ea Internet, em seu evangelismo e planejamento e atividade pastoral, a fim de salvaguardar os direitos humanos e promover a verdade ea justiça na vida pública , para chegar em solidariedade aos setores mais fracos da sociedade, para enfrentar os males sociais do alcoolismo, dependência de drogas e abuso sexual de crianças, e para infundir culturas com os valores do Reino. Mas, mais do que as comunicações sociais, precisamos das comunicações e operações do Espírito Santo, chamados carismas, que são uma manifestação da sua presença reconfortante e uma demonstração de seu poder de mudança de vida e, como a Constituição dogmática sobre os estados da Igreja, "são úteis para a renovação e expansão da Igreja ", dando orientação e eficácia ao duplo ministério de pregação e de cura em retiros ao vivo-in e em missões de extensão. Novos Movimentos: A expressão mais importante e de destaque ou sinal da nova evangelização é um rico florescimento de movimentos de renovação e comunidades eclesiais, que o Papa tem constantemente visto como "um dom especial do Espírito para a nossa idade e um motivo de esperança para a Igreja e para a humanidade "(Discurso no dia de Pentecostes, 1996). No encontro inesquecível dos movimentos eclesiais com o Santo Padre em 30 de maio de 1998, o Papa reconheceu-os a ser "a resposta Espírito Santo a este desafio crítico da Evangelização no final do milênio" (n. 7), dando a a vida das energias da Igreja de renovação espiritual da intensidade e potencial para a atividade evangelizadora eficaz extraordinário. A paróquia precisa do poder e companheirismo desses movimentos de renovação dentro de um micro-estrutura das comunidades eclesiais menores, chamados Comunidades Eclesiais de Base, onde os cristãos nascem e crescem em maturidade, vivendo a sua vocação e missão na profundidade. Coloque Testemunhas: A nova evangelização também vai depender muito em ser fiéis leigos plenamente conscientes da sua vocação baptismal e da sua responsabilidade para o Evangelho de Jesus Cristo. Hoje é muitas vezes os leigos, que deve estar na vanguarda na busca de aplicar o ensinamento da Igreja para as questões éticas, morais e sociais, que surgem em suas comunidades ou em nível nacional. A missão específica dos leigos e das mulheres é a evangelização da família, da cultura e da vida social e política. Os impulsionadores desta nova primavera estão se tornando os jovens a quem o Papa não se cansa de dizer: "Vocês são a esperança da Igreja, vocês são a minha esperança!" A tarefa, então, da Igreja de hoje, e de seus pastores, é garantir que os leigos são formados como evangelizadores, capazes de enfrentar os desafios do mundo contemporâneo não apenas com a sabedoria e eficiência, mas com um coração renovado e fortalecido pela verdade de Cristo . Para o homem contemporâneo escuta com melhor boa vontade as testemunhas do que os mestres, ou se escuta os mestres, ele o faz porque eles são testemunhas.